This marks the beginning of my LJCxZomato Series. It’s a three-part series exploring 3 restaurants under the LJC Group. For this first post, which happens to also be the starting point of our food crawl, we have Lorenzo’s Way. It has been a while since I joined a food crawl hosted by Zomato. Thankfully, the universe made a way for me to be part of this. They initially planned for this food crawl to be held on a weekday, but thankfully it fell on a Saturday, which opened up the opportunity for me. Along with this, I am planning to give updates through my Zomato account, so hopefully you will/are following me there as well. It has been a long while since I was having an impression that it was way too intimidating in Lorenzo’s Way. 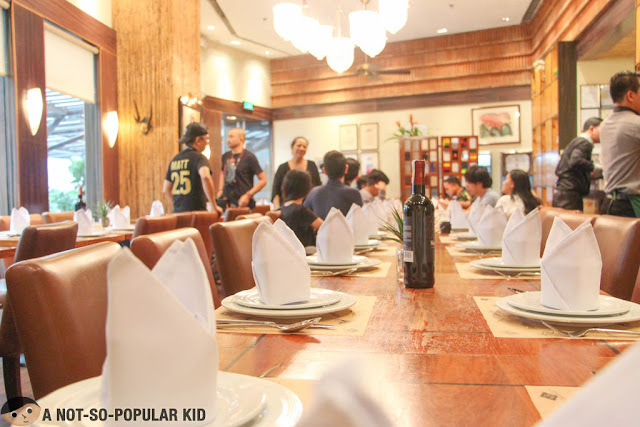 Perhaps it was because of being nestled along the stretch of “fancy restaurants” in Greenbelt 5. Plus, I always notice the glam and quaint interior when I take a peek as I pass by. 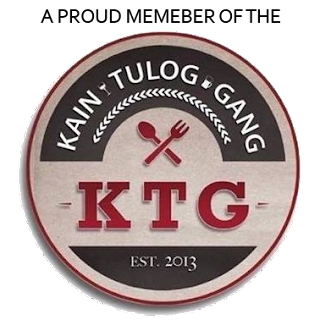 With this Zomato Food Crawl and upon seeing the menu, I found out that the dishes are mostly within a reasonable range. 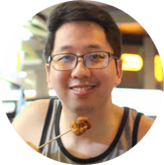 And in this blog post, I’ll be sharing with you some of them. The concept behind Lorenzo’s Way is rooted upon family history and tradition. Each restaurant in LJC Group represent a certain milestone or memory of Lorenzo “Larry” J. Cruz (hence the acronym) and his family. This restaurant is named after him as a tribute. 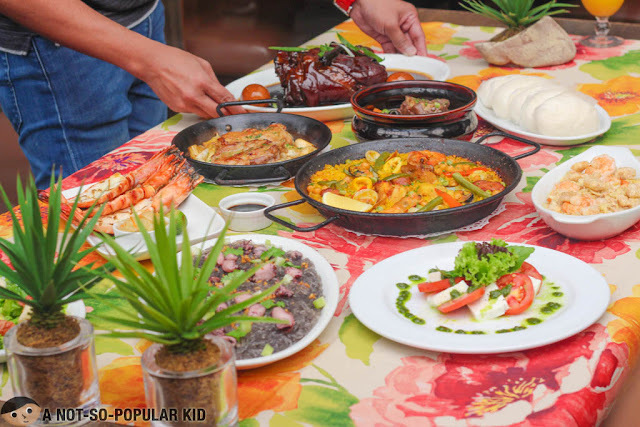 Dishes here represent multiple influences touched Larry’s life but all anchored on Filipino cuisine. For this early lunch, we tasted 12 different dishes. So, I hope this won’t make you extra hungry. 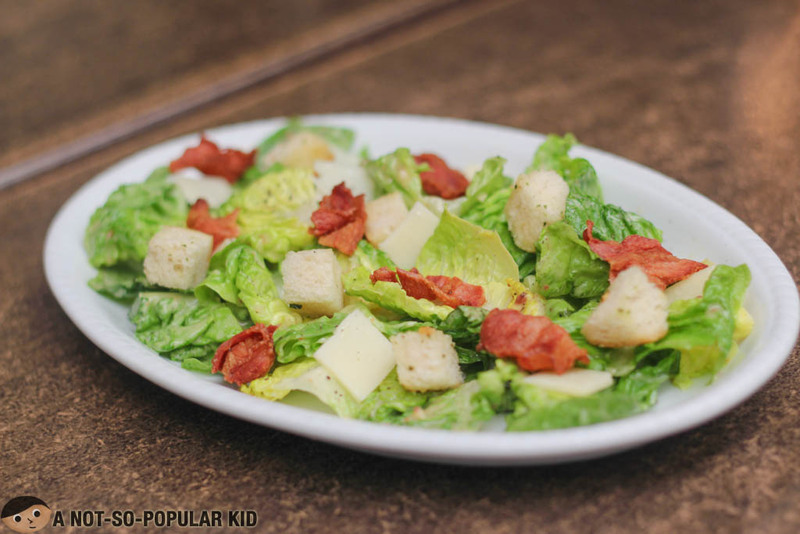 The Caesar Salad (P295) was incredibly fresh -- the crunch was an evidence of its freshness. Plus, the Parmesan cheese slices made each bite popping with flavors and textures. Also, the fried bacon cuts had this lovable crunch. Simple yet undeniably elegant! The Kesong Puti Caprese (P275) had a touch of pesto that was spot-on -- not too overwhelming. 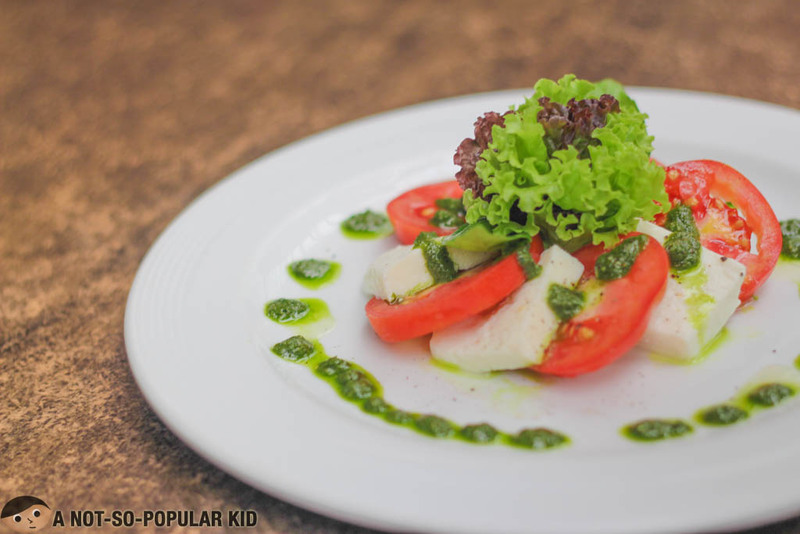 The texture of the cheese was also relatively smooth and creamy compared with a typical kesong puti. This is a fantastic treat for mild cheese lovers! 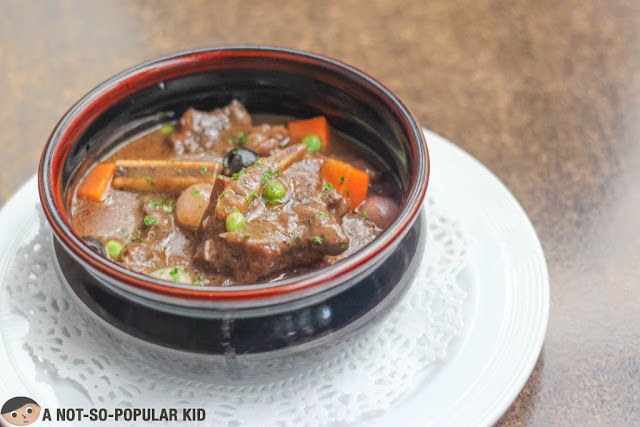 When the Costillas de Ternera Guisada (P750) was served, the first thing that hit me was its drool-inducing aroma. And then, when I took a bite I was further driven into a trance. It was tender and had natural oils (from the short ribs) that made the sauce very savor. 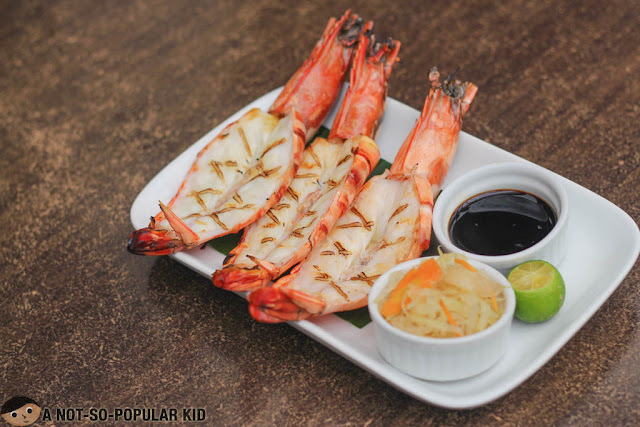 The Inihaw na Sugpo (P675) can be a budget-breaker, but you'll definitely be cradled by the smokey and fresh seafood goodness of these delicate prawns! 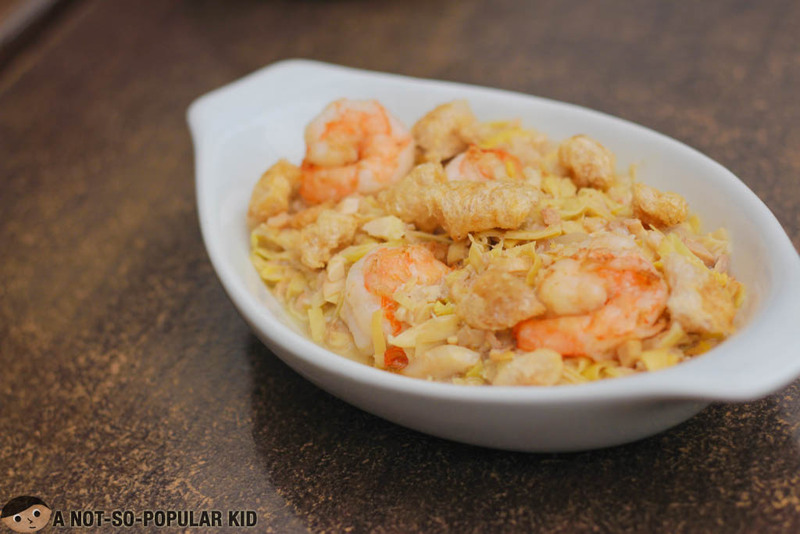 The Adobong Puso ng Saging at Gambas (P295) is a perfect alternative for the sugpo. It was my first time to have a dish something like this. The taste had this playful zesty sourness that gave me that asim-at-toyo kilig. Okay, we are just half-way through, and the next dish is something I highly recommend -- Spanish Garlic Chicken (P395). It was lovely because the garlic bursts as you pair each bite of the zesty chicken with it. 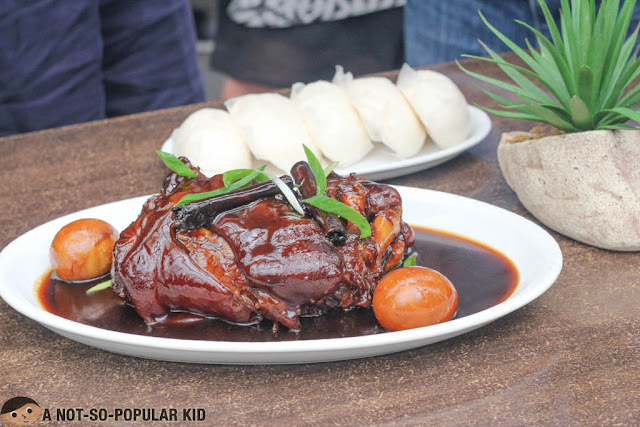 The meat was also very tender and the flavor from the sizzling process gave it a subtle "smokiness"
The Pancit Sotanghon sa Baby Pusit (P345) may lack the bold blackness in appearance, but the taste tells you another story. 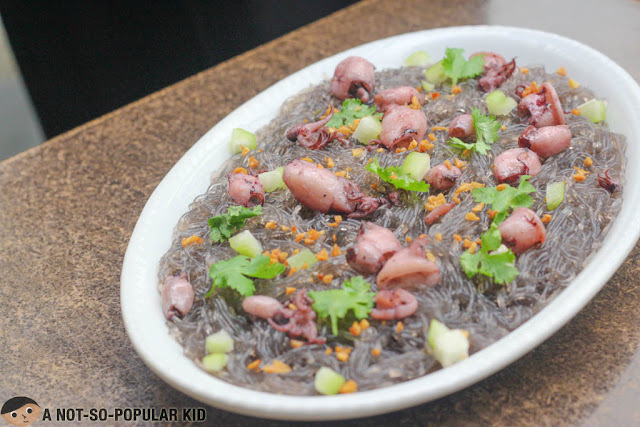 The taste of the fresh squids was imbued upon each strand, making each twirl full of flavors. 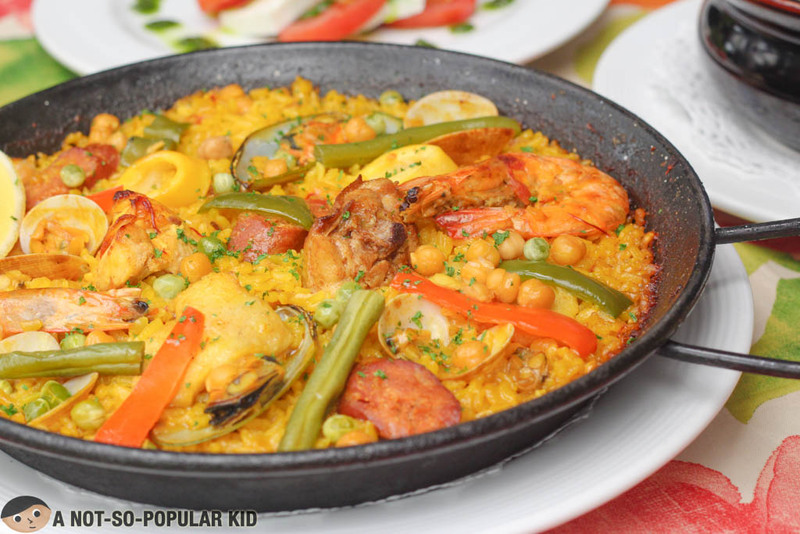 The Paella Valenciana (P650) was amazing-- flavorful on its own and the seafood essence was deeply ingrained in the taste. Scrape all the way, and enjoy the crunchy goodness of this specialty! Another dish that had a very hunger-inducing aroma was the Black Pata (P850). It had a Chinese herb aroma -- so good that just by smelling, I could almost taste it. Texture was tender and the flavor can be cushioned by pairing the sauce with the white bread. Alright, we're almost near the end of this first leg of our Food Crawl. Let's proceed with the desserts. 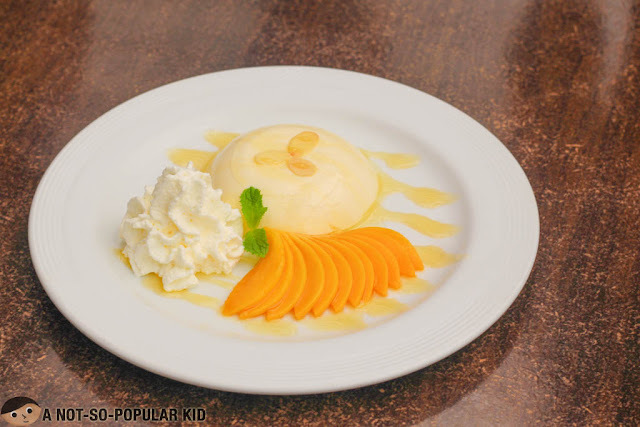 The Mango and Almond Panna Cotta (P245) was the least sweet among the three desserts we had. It was creamy yet smooth with its gelatin-like texture. The mangoes added a fruity goodness, sealing the deal! Just like its name The Gigil Tart (P199) really has this "gigil" factor as it was very new to my palate. 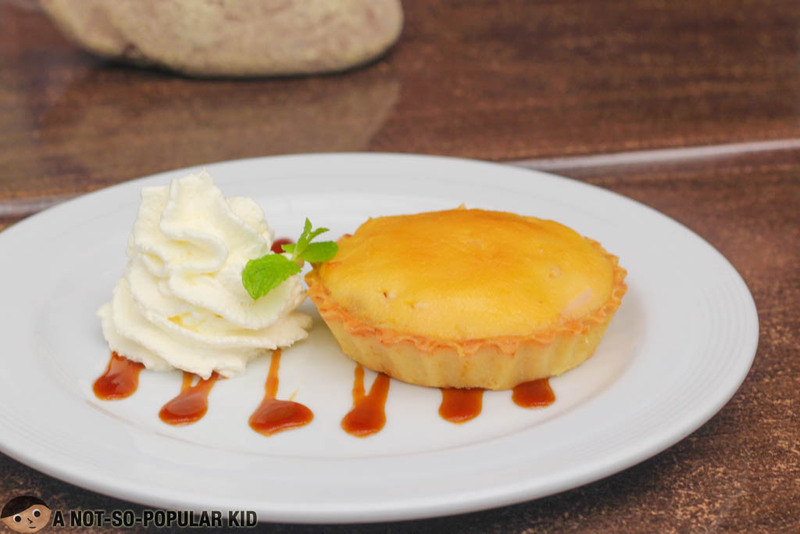 It blended both the goodness of a buko tart and bibingka. Certainly, this is a must-try here in Lorenzo's Way. 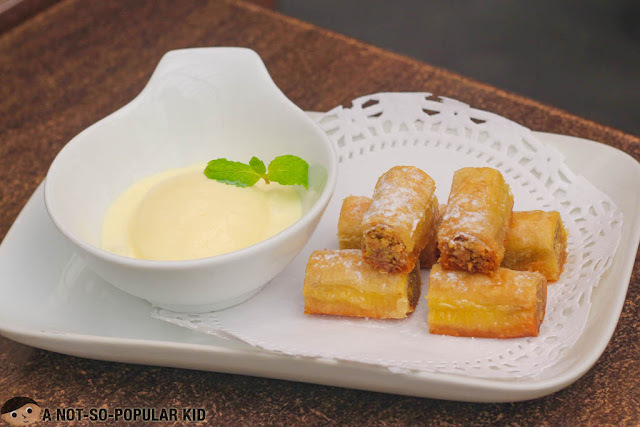 Minsan dessert, minsan tanong -- the Baklava (P275) was marked by the sweetness and grainy-peanuty texture, and the ice cream on the side gave it a creamy character. On top of all, although this dessert was fried, it didn't have that "oily" feels and taste. Now, this marks the end of this first leg of LJCxZomato Food Crawl. Up next is Cafe Havana which surprisingly has interesting line-up of dishes. Lorenzo's Way provided us a wonderful dining experience. Dishes were amazing, and there were some that was "first" for my palate. I was very thankful I finally got to try dining here in Lorenzo's way. 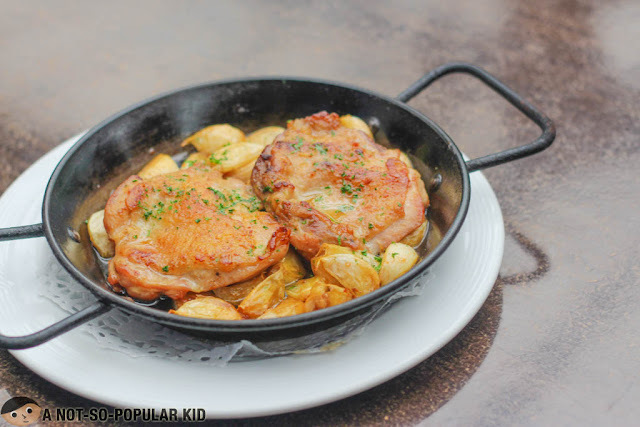 Two dishes that extremely stood out during this dining experience was the Spanish Garlic Chicken and Gigil Tart.